Stop…put down your phone and take some deep, cleansing breaths. We know that sometimes Instagram friends are so incredibly irritating, that you’re forced to bite your tongue. 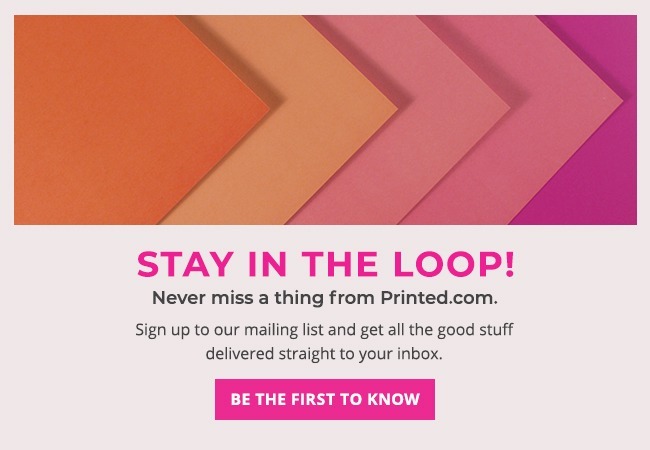 Allow us, your friends at Printed.com, to say all those things that have been eating away at your inside, and to help you move past the irritation so you can keep enjoying your favourite photo sharing app. Here, five comments you’re desperate to leave on Instagram. A cup of tea, a manky biscuit, the leftover spaghetti Bolognese from last night, reheated to perfection; they’ve obviously put this picture up because they think it looks tasty. It’s almost enough to make you want to laugh in their faces or, at the very least, invite them round for dinner so they can experience food worth photographing. Food photos are stomach-rumblingly epic when the meal in question is top notch and so artfully snapped that it could be adorning the pages of Food Network magazine. Most of the pictures you see are nowhere near that standard. Although you’re desperate to say it looks rancid, we recommend just not looking at Instagram before, during or after eating. One hashtag is pretty necessary. Two is fine. Three could be considered overly thorough. Four hashtags or more and you’re justified in your rage. There’s no need. How do you get over this? We recommend clicking some of the more obscure tags and enjoying the hilarity of other people using them. Because they’re so silly. Throwback Thursday rolls around. You scroll down your feed and there it is…a picture from only last week. You’re in a rage…this is no throwback! It flies in the face of all the hard work you put in; searching your archived pictures, carefully choosing just the right one from ten years ago, and for what? Our advice is to bite back the anger and just scroll past the abomination they’ve posted while breathing deeply. This hurts the most when you’re on the tube or bus to work, Monday morning; those smug legs-and-feet-on-a-sun-lounger pictures, often accompanied by a gloriously cloud-free sky and colourful cocktail. Before you snap and post the message above, think about how smug you’re going to feel next time you’re away and you can do it right back at them. This offence ranges from make-up free selfies, to sunsets and landscapes. They’re boasting about how there’s no filter, but you know — in your heart of hearts —that they’re fibbing. Before you point that accusatory finger at them, consider this: some people look at these images and believe that the world really is as beautiful as an Instagram picture. Let these innocent, pure souls enjoy their ‘no-filter’ images. You know the truth. We hope this post has left you feeling calm, collected and free of all anger. You can head back to Instagram to enjoy your pictures in blissful peace, or immortalise some of your favourites as Instagram prints. I’d also add to the champagne drinkers/boasters #fizz #champagne #life #mylifeisamazing agghh! Seriously when you start p*****g it let us know until then kindly bore off! So funny, also “hot dog legs”. You don’t know how badly I’ve wanted to leave comments like that on peoples pages. LOL. I agree with all of these!